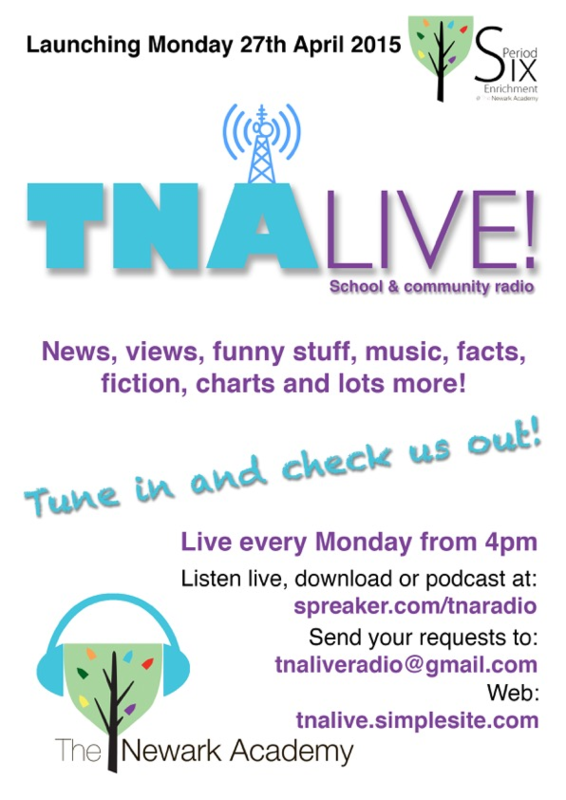 At TNA, we are very much looking forward to our first internet broadcast! This will be available to download and share straight after its recording. Students at Period 6 Radio Club have been working tirelessly on their content and are also planning their involvement on the air at Radio Newark when it launches on May 2nd. Keep checking this page for release details.